Botanists Mark Richardson and Dan Jaffe are colleagues at the New England Wild Flower Society’s Garden in the Woods in Framingham. They recently co-wrote “Native Plants for New England Gardens,” a guide to 100 flowers, ground covers, shrubs, ferns, and grasses that thrive in the region. They discussed the project in an interview. Q. By now, many of us are familiar with the arguments in favor of eating local and buying local. The idea you promote of growing local may be a little bit harder to grasp. After all, if it emerges from the soil in your own backyard, isn’t it by definition local? Jaffe: The focus of our book is encouraging people who garden to use plants native to the New England ecoregions. In the past, native plants were usually defined along political lines such as state lines or county lines. But of course, plants don’t know political lines. To plants, what’s important is their ecoregion, whose factors include rainfall, hardiness zone, and soil geology. Based on those factors, we defined five different ecoregions that encompass all of New England as well as parts of New York, New Jersey, Pennsylvania, and Canada. Q. What’s the advantage of tailoring your garden to its specific ecoregion? Richardson: If you choose plants for your garden that are native to your particular ecoregion, you have plants that can tolerate drought, resist disease, and encourage biodiversity. 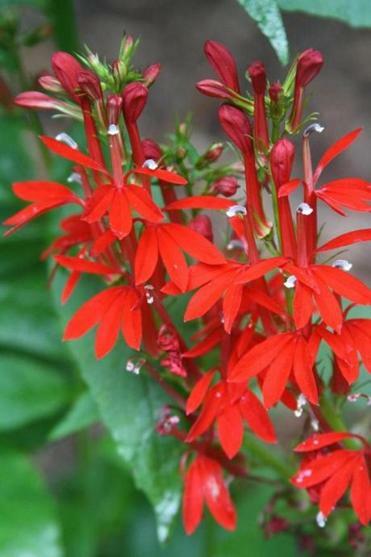 Additionally, native plants support beneficial birds, insects, bees, and other pollinators. That’s the foundation for all of the world’s ecosystems. Q. Is it more work to cultivate a garden of native plants? Jaffe: The more we research and learn about the connections between plants and native ecosystems, the more we realize it can be simple. Richardson: What’s frustrating is to see people choose plants for their gardens that require a lot of maintenance and effort. Natives are by definition low-maintenance, because they’re perfectly adapted to the place where they are growing. You don’t need to fertilize or irrigate native plants; you won’t have pest issues or disease issues. Q. What kinds of mistakes do you see gardening hobbyists making? Richardson: A lot of times we create landscapes that need to be kept on life support. An obvious example is lawns, which are among the most environmentally damaging landscapes we have. We spread more pesticides and fertilizers on grassy lawns than on any other crop, despite the fact that it’s where our kids and pets play. Moreover, as soon as it starts growing, we chop it down to size. So why are lawns our default landscape? We ought choose plants that can fend for themselves and thrive without fertilizers or pesticides. Jaffe: If you’re choosing the right plants for the right locations, you shouldn’t have to provide them with anything but water. Q. So what’s the alternative to a grassy green lawn? Jaffe: We’re working with a variety of lawn replacements. For example, Pennsylvania sedge is a native plant that looks like grass. That’s a good stepping-stone solution if you don’t want to lose the lawn aesthetic. But a better approach is something like wild strawberry. True, it doesn’t look like a lawn; but it requires no fertilizing, no mowing, it’s semi-evergreen, and it feeds not only bees and a wide variety of pollinators but it can also feed us. Q. Your book features 100 plants. Which ones deserve special mention? 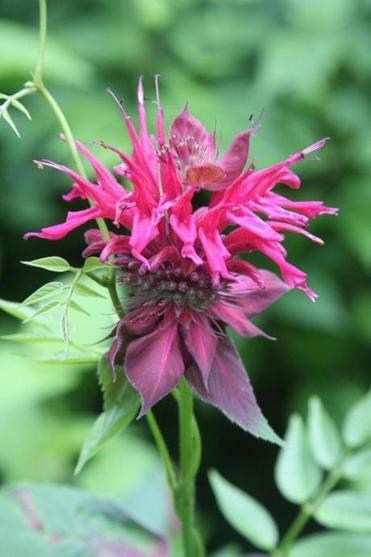 Jaffe: For one, spotted beebalm. It likes a sunny, dry environment and is very viable. It makes a very good ground cover, fitting in between other plants as they grow in. Richardson: For those who like the colors of fall foliage, a tree called black gum and a shrub called Rhus aromatica, or fragrant sumac, generate beautiful fall colors. Another great little plant is Houstonia caerulea, or bluets. 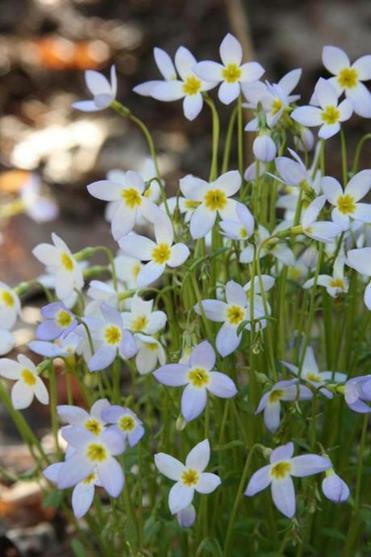 It’s a diminutive plant with a delicate little blue flower that blooms almost year-round. Jaffe: Also worthy of more attention are edible plants: not just tomatoes and cucumbers but perennial edible species that are also ornamental. For example, highbush blueberries, arguably the best shrub to support myriad pollinators such as bees, butterflies, and moths. Here, too, you can connect to the locavore movement. The more blueberries you grow and pick to eat, the less you’re buying in the store, not paying carbon costs such as shipping. Q. What kinds of misconceptions crop up when you talk to people about growing native plants? Richardson: A lot of people think plants native to New England are weedy or weak. Another belief is that native plants aren’t as beautiful as plants from other parts of the world, and if you want gorgeous gardens you have to plant exotic blooms from Japan or something like that. But our book is a testament to the beautiful plants of New England that make stunning gardens. “Native Plants for New England Gardens” is published by Globe Pequot Press. For more information, go to www.newenglandwild.org. This interview has been edited and condensed.